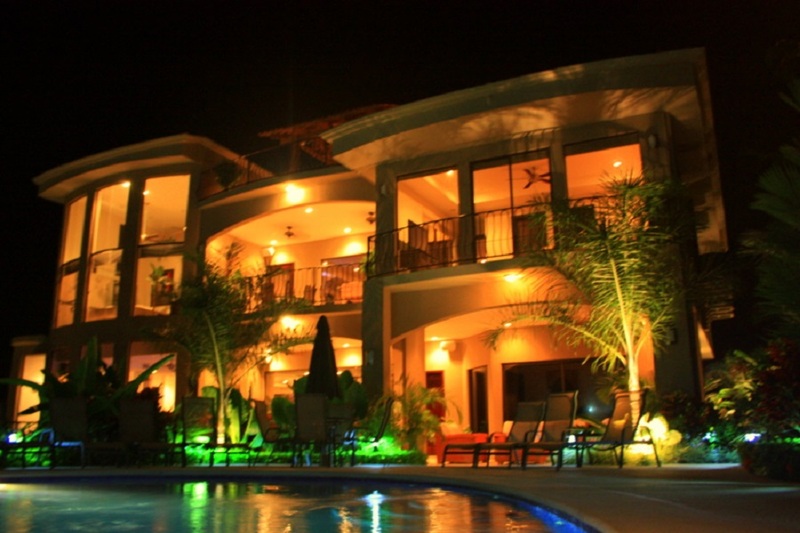 If you look around the web, you will see that Casa Ponte is the premiere location in Jaco, Costa Rica to stay and play. Costa Rica is fast becoming the #1 location for bachelor parties, even surpassing Las Vegas and other bachelor party hot spots. At the Casa Ponte estate, we can accommodate groups as large as 22 guests and with two complete houses, two pools, our spectacular pool bar, and all of the amenities this property offers, you and your guests will be well cared for. Our team of dedicated bachelor / bachelorette party planners can arrange everything. From loud and crazy to quiet and mellow, we have been accommodating the best Costa Rica bachelor party experiences since the property was opened in 2008. 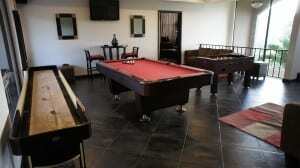 Casa Ponte Jaco offers 2.5 acres of private estate to call home during your bachelor party Costa Rica vacation. With 10 bedrooms and 11 full bathrooms, barbeque in the pool rancho, upper deck 600sq foot Disco, helipad, Par 3 golf hole, state of the art multimedia equipment, as well as a 1300 sq foot master suite that is unforgettable and luxury accommodations throughout, no one goes home wanting. Jaco, Costa Rica is bachelor party central. With enough clubs and entertainment, restaurants and tours, sport fishing, and other excursions, you are going to have the time of your life. Our team of Jaco bachelor party specialists will even accompany your group on excursions or out on the town, to ensure you get the best deals and most exclusive access, all the while ensuring you do not get taken advantage of so you can party without worry. There are several companies in town offering bachelor party vacations, but as you do your research, you will find that we do not allow all of them to book our estate,You can book Casaponte only through JacoVip or by using this website.This comes down to the simple fact that we have partnered with the best vendors to ensure that we can provide you with the best and safest experiences possible during your Bachelor party in Costa Rica. If your group does not want to leave the estate and instead wants the entertainment to come to them, we are fully equipped to provide and accommodate private in-house parties for an experience that can be customized to your exact bachelor party vision. During the day, you do not need to worry about anything, our full service staff will be available to ensure everything is taken care of. Our private chefs and catering services can provide food options that will amaze even the most discerning pallets and the housekeepers will ensure the property is always kept clean and in the best condition so you can focus entirely on partying, recovering, or just relaxing in our luxury estate setting. Need to ensure the bar is stocked with your bottles of choice? No problem, we have a round the clock concierge service that will never leave you wondering how to get almost anything you want to make your experience unforgettable and customized to your needs, wants, and every desire. Costa Rica bachelor party specialists for your incredible event! Casa Ponte is not only the ultimate bachelor and bachelorette party destination, but also the best place to tie the knot in Costa Rica. We can plan and host your big day with ease, so sit back and let our professional wedding planners customize an experience that will amaze even the most discerning guests. Our 2.5 acre grounds provide you with plenty of room to stretch out and host a large event. We have so many spectacular views plus a new Wedding gazebo, you are sure to find the perfect backdrop for a tropical indoor or outdoor ceremony. With two complete homes on a single property, you and your guests will never feel cramped. From professional chefs, florists, decorators, and all of the support staff necessary to make both big and small events perfect, we can provide all necessary services to ensure that your Costa Rica wedding goes off without a snag. To get all of the info, check out our Jaco Wedding page. When we receive your reservation request, we will confirm availability and contact you via email or telephone to assist in customizing arrangements for your every need during your stay at the property. We respond to all requests within 24 hours of receipt. If you would prefer to book via telephone, please do not hesitate to contact us from within the US at 512-981-8347 or call Costa Rica by calling 800-676-0717. We look forward to having you as our guest and will work hard to ensure your satisfaction.